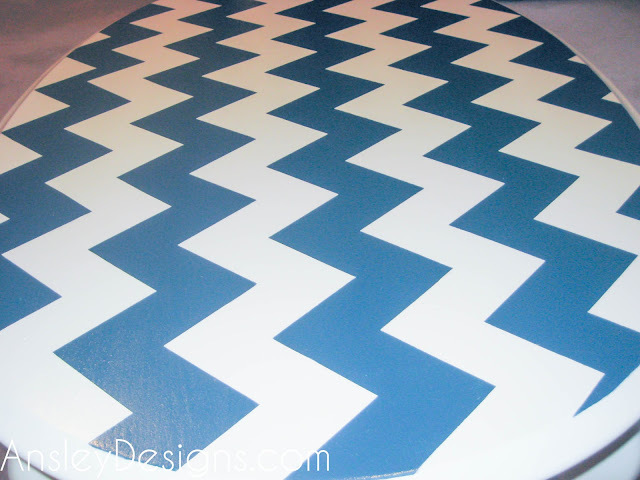 So how do you get awesome chevron stripes that are all the same size and distance apart? I'm going to tell you how! 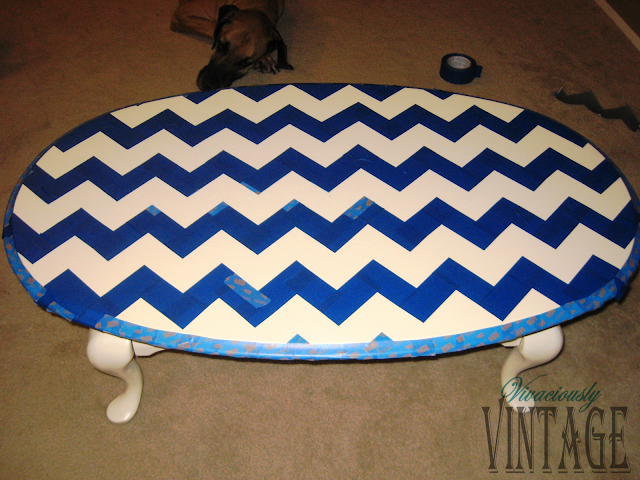 When making my chevron coffee table I found lots of cool tutorials in blogland. However, none of them really met my lazy criteria. One of them included doing pin pricks all along the stripes, removing the straight pins, and free hand painting or aligning tape (I don't remember which). I took one look at her photo with all of those pinholes and I was like "that will take WAY longer than I'm willing to invest in one table!" So my method uses a combination of other methods I saw around. 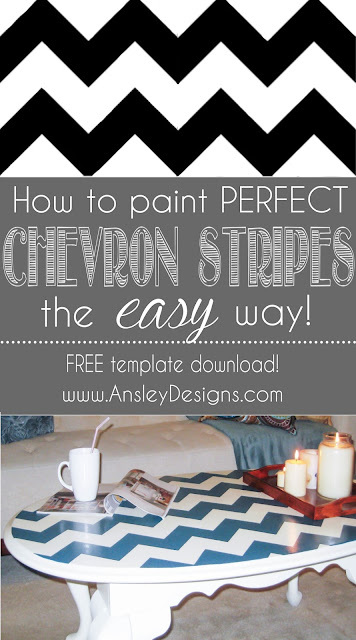 Click here for the FREE chevron pattern template I used! UPDATE: If you have a silhouette machine, an even easier and faster method would be to create a stencil using my template with indoor vinyl! Lay down the pattern (I used a small piece of painter's tape on each end to stabilize it) and tape around it. Do this for the entire width of your project. To align it perfectly, I put a portion of the template inside the previous tape lines. This keeps your pattern straight. To evenly space for the next row. 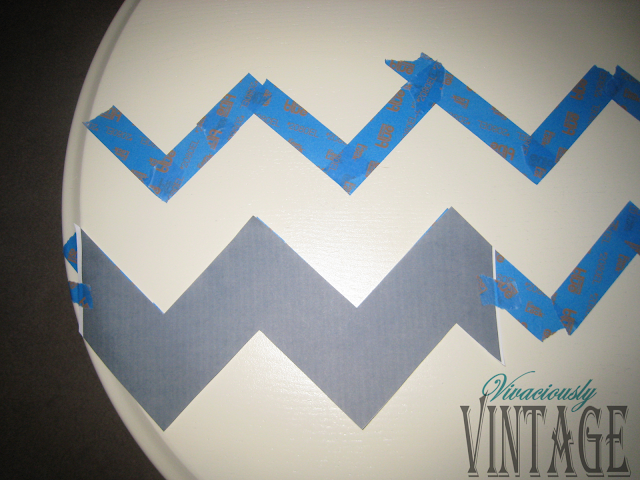 Lay the template on top of your last row of tape. Tape the pattern. Simply repeat this process along the entire surface area of your project. 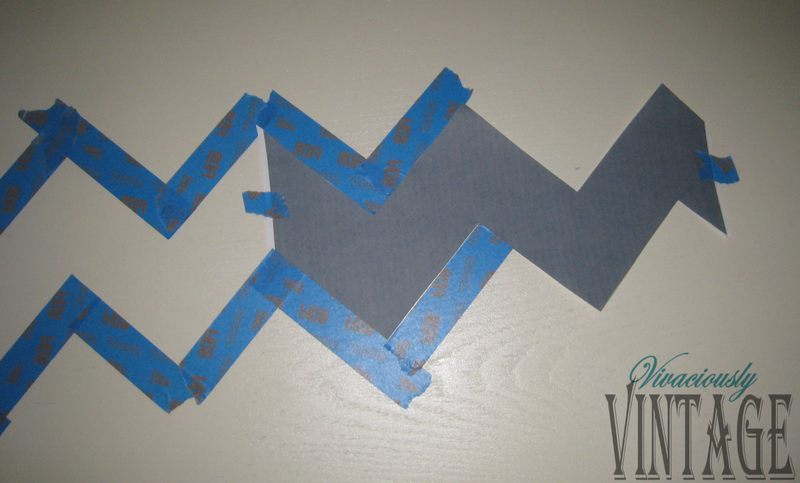 Once the entire project area is taped, go back and ensure that the tape edges are fully adhered to the surface! 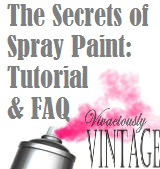 This will prevent any paint leaks and ensure a crisp line! This is the reason I had to redo my coffee table. I lazily went over the tape. Be sure and be very thorough on your edges!!! This is what it looks like all taped up. I also chose to tape around the edge of the table because it had a little ledge. Notice the different kinds of tape? Some of the corners I had to go back with smaller tape to ensure it was lined up correctly and that the tip of the chevron pattern was perfect. I also used scissors to cut my tape edges so they would be as straight as possible. To prevent any paint peelage, I highly recommend using the blue painter's tape for DELICATE SURFACES if your project has been painted within the last 30 days. Paint over your handiwork with the color of your choice. I think my table required 2 coats. Last (and best!) 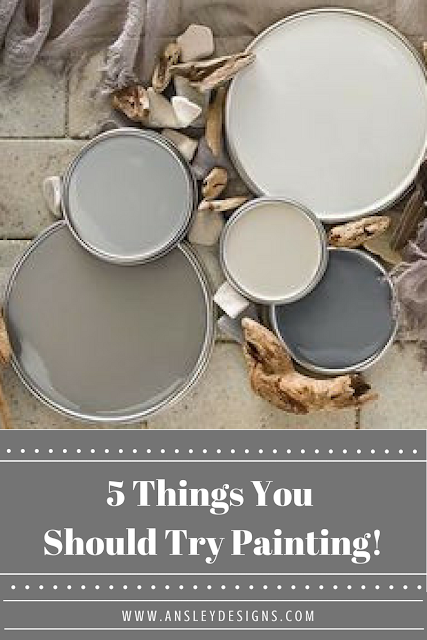 part...remove the tape carefully before your last layer of paint has dried. The lines are the best when the paint is still a little tacky. Now marvel at your perfect chevron masterpiece! Check out those crisp, chevron lines!!! P.S. I did have to go back and do a few touch ups with the teal paint and a tiny brush after pulling off the tape, but it was nothing that made me think UGH. Easy peasy. P.SS. Click the image below to see my full tutorial on how I paint furniture. Awesome! I can't wait to see how it comes out! I followed you on Facebook so I can keep an eye out for your undoubtedly cute toddler table! Super Cute Table. Thanks for the tutorial. What kind of paint did you use? Did you have to sand the wood first? Did you seal it after? Sorry for all the questions, but I have never painted furniture before! 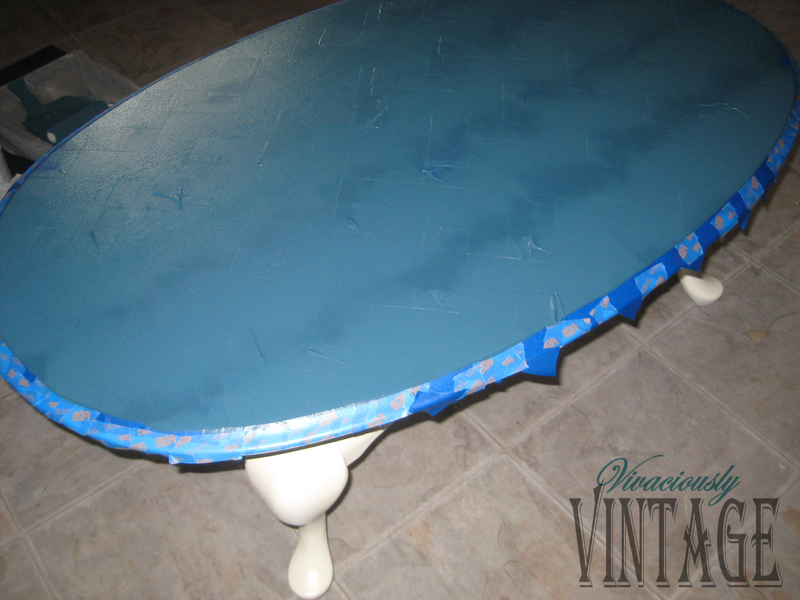 I sprayed on the white, then rolled on the teal color (which was latex paint), and topped it off with polycrylic. Awesome! I can't wait to try it on walls, rugs and anything I can think of. Thanks for the pattern in particularly. Thanks so much! Your table looks amazing. I've been looking all over for a good chevron patter. You're a hero. Love it! 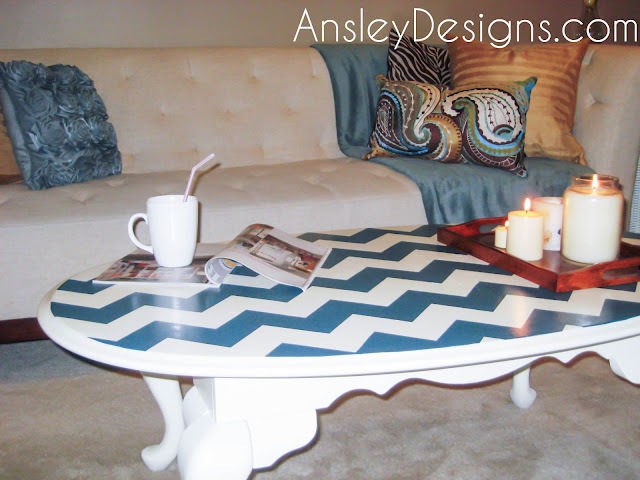 I have a chevron coffee table too! :) mine is teal and brown (wood grain). 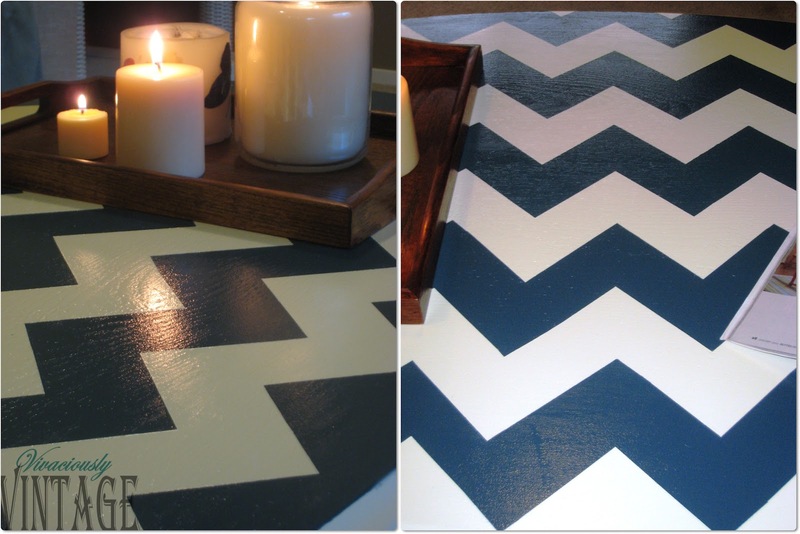 I also painted a chevron stripe on my entry floor. I love it. it turned out beautiful. good job. Thanks for all the help! I need to do some painting in Calgary, I haven't even tried decorating our new home here and it looks so empty. I love the stripes because when you put them on anything it automatically makes a room look so much more alive! Maybe this will be my next project. The result is great - and I wish I could make mine look that good... but, it seems like your instructions won't give the desired result. If you keep putting the pattern on top of the previous row and taping below it, you end up with oddly narrow stripes, not as wide as the first row. The pic you show when taping is complete has "double wide" tap for the strips, yet you don't describe that process. After you layout the pattern, you need to just fill in the stripes that you want to stay white (or whatever color your table is initially). I used thicker tape to fill it in. 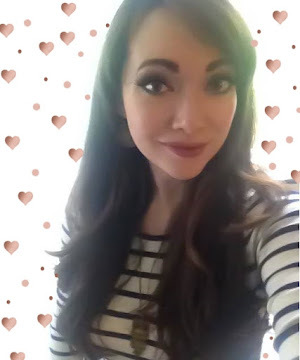 Thank you so much for a great tutorial! I managed to nab a bedside table for free off our local classifieds. I used your pattern and tutorial to jazz it up along with my daughters cheap particle board bookcase(it was chipped and hideous)they turned out awesome and now she has some matching bedroom furniture for a change.I wish there was an option to post a picture on here so I could let you see it. I sent you a couple pictures via email as I'm not a Facebook user.Hope you like them, I realized I forgot to put the shelf back into the bookcase so it may look a little off. Great tutorial! Thank s for sharing! I like the lazy way too! Now, I'm off to start taping! Yay, good luck! What are you painting?